R.M. Agarwal | I.K International Publishing House Pvt. 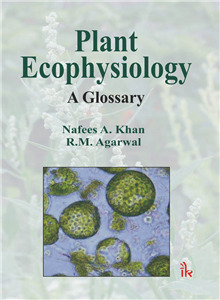 Ltd.
R. M. Agrawal (M.Sc, Ph.D, FBS, FISPP) is at present Professor of Botany, Coordinator of School of Studies in Microbiology and Dean, Life Science, Jiwaji University, Gwalior. Prof. Agarwal has around 30 years of teaching and research experience. Presently his major field of interest is stress physiology. He has 28 full research papers published in national and international journals. Five students have successfully completed their Ph.D. degree under his supervision. He has participated in several national and international conferences/symposia presenting papers/delivering invited talks.